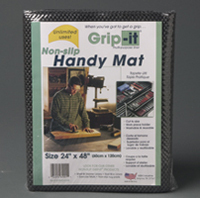 Grip-it Handy Mat is just that – handy for all kinds of heavy-duty uses throughout the home and beyond. The extra cushioning protects surfaces from use and abuse. 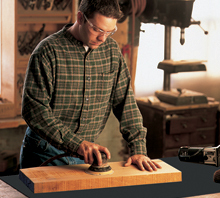 Non-skid surface acts as a great work place holder. Easy to cut to desired size, too.